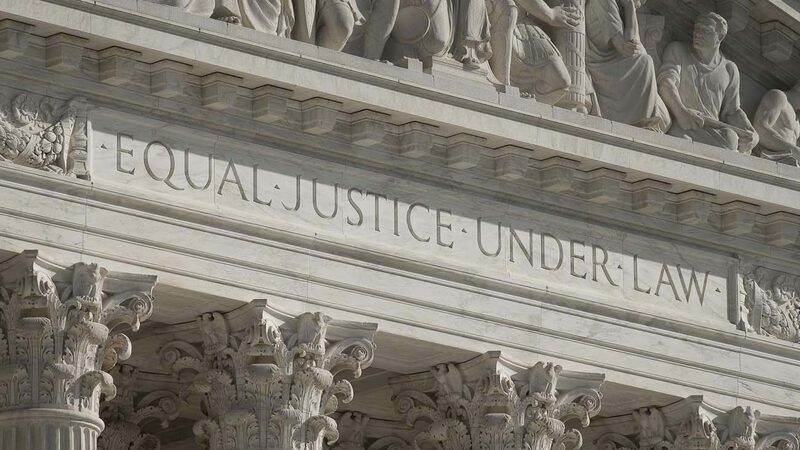 WASHINGTON (CNS) — A death penalty case argued before the U.S. Supreme Court Oct. 30 examines whether a Texas death-row inmate was given effective counsel when he was sentenced to death in 1997. Lawyers for Carlos Ayestas say that if his physical and mental condition had been thoroughly researched, such details would have been provided to the court and might have persuaded the jury to give him a life sentence. Ayestas, an immigrant from Honduras, was sentenced to death for strangling a woman after an apparent burglary in her home in Houston. The case is Ayestas v. Davis. Lawyers for his appeal have argued that trial and state appellate lawyers didn’t do enough to investigate Ayestas’ background of multiple head traumas and mental illness. They also say federal courts refused a request for funds to do this type of investigation, despite a federal law aimed at improving legal representation in capital cases. The argument in defense of Ayestas focused on how federal courts have withheld money needed to properly investigate mitigating evidence to provide jurors with the most accurate picture before deciding if a defendant should be put to death. “How can you stand here and say that this kind of investigation meets any constitutional standard?” Supreme Court Justice Sonia Sotomayor pointedly asked Scott Keller, Texas’ solicitor general. She noted that it looked to her that the investigation for Ayestas’ trial failed to obtain school records, reach out to parents or talk to witnesses where Ayestas worked in Texas. “All of those things suggest to me deficient performance,” she added. Keller said the court subpoenaed psychological and disciplinary records, made multiple attempts to contact the Honduran family members, contacted several potential witnesses, searched criminal histories and attempted to obtain deportation records. Lee Kovarksy, a University of Maryland law professor who is representing Ayestas, pointed out that the sentencing phase lasted two minutes, no mental health expert examined the defendant and the trial counsel had failed to follow up on red flags. He argued that unless the federal courts reverse their policies and provide money for a specialized investigator in the case, Ayestas will be executed without a judge or juror hearing evidence that might have resulted in a sentence of life in prison. The focus in this case is the U.S. Criminal Justice Act, which includes a provision that says that says low-income death-row inmates can get court-provided money to hire investigators and experts who are “reasonably necessary” to pursue an appeal. The brief filed by the state of Texas in the case said the lower court properly denied Ayestas’ request for funds to further investigate his case and described it as highly unlikely that evidence of mental illness, brain injuries or drug and alcohol abuse in his past would have changed his sentence. A ruling is expected before the court’s term ends next summer.